If you sustained injuries as the result of being bitten by a dog, it is imperative that you consult with an experienced Fort Collins dog bite lawyer as soon as possible. Injuries from dog bites can be devastating as attacks can lead to physical and emotional trauma as well as costly medical treatment. Depending on the facts and circumstances of the incident, under Colorado law, you may have the ability to seek compensation from the dog’s owner for your injuries. 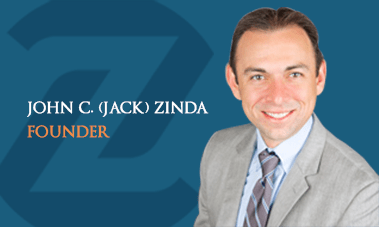 To schedule your free consultation with an experienced Fort Collins dog bite lawyer, contact Zinda Law Group today at 970-549-2138. If the dog was working or performing other jobs on the dog owner’s property including, hunting, farming, or herding. The Colorado dog bite law typically limits any recovery to economic damages like lost wages or medical expenses and does not provide for non-economic damages like pain and suffering or emotional anguish. If you were bitten by a dog, but the injury was not serious, did not cause permanent disfigurement, or was not fatal, or if you’d like to recover non-economic damages such as pain and suffering, it’s possible that you can pursue a negligence claim against the owner of the dog. In negligence actions, you usually are required to prove that the owner of the dog failed to use reasonable care to control or restrain their dog and that this failure was the reason the dog bit you or caused other injuries. It’s important to note that the dog’s owner can try to establish that you were also responsible or at fault for your injuries or that you were a trespasser at the time of the incident. If you are deemed fifty percent or more at fault, you may not be able to recover any damages. If you or a loved one has sustained serious or fatal injuries as the result of a dog bite, it is imperative that you contact an experienced and dedicated Fort Collins dog bite lawyer immediately. Colorado dog bite laws are complex and it can be very difficult to prove who is at fault in dog bite or dog attack cases. Hiring a knowledgeable dog injury attorney can help you navigate the legal process and fight to obtain the full compensation you deserve. Contact our experienced Fort Collins dog bite lawyers today by calling 970-549-2138 to schedule your free and confidential consultation.